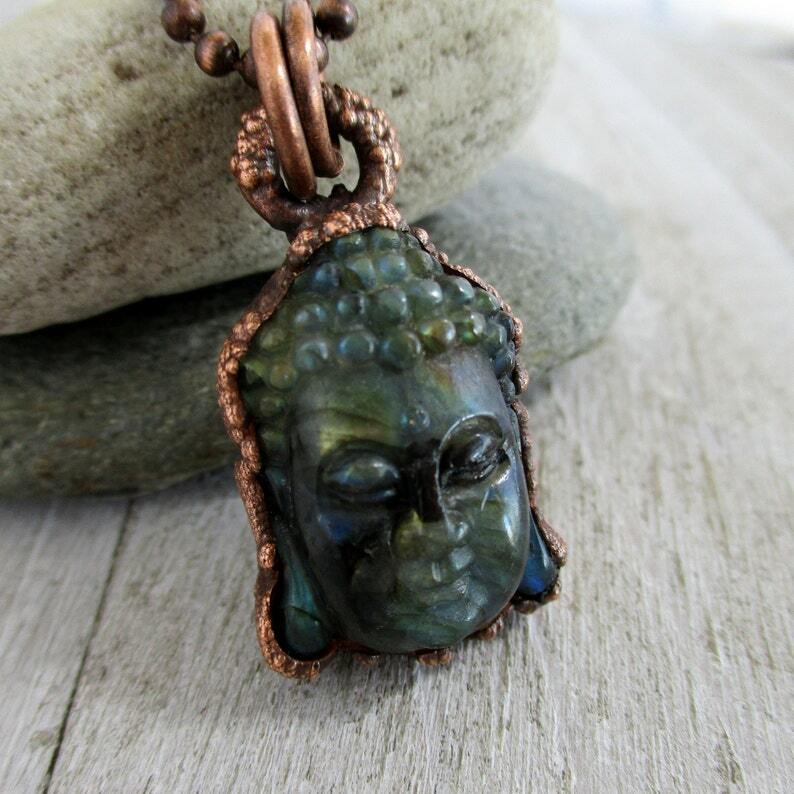 Mysterious flashy Labradorite, carved by hand into a Buddha head, surrounded by earthy, organic oxidized copper created by electroforming. Hung on an oxidized copper chain in whatever length you choose. This pendant looks great in any medium to long length and you can choose ball chain or cable chain in your favorite length.